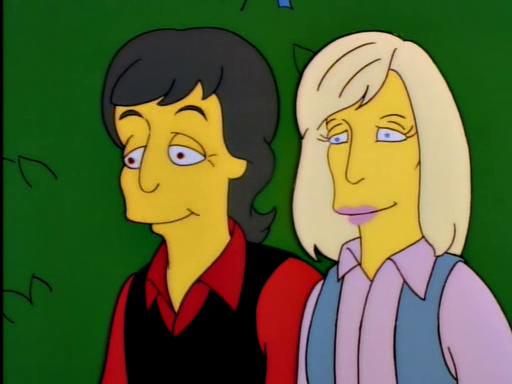 Grandpa Simpson: I thought I recognized you. 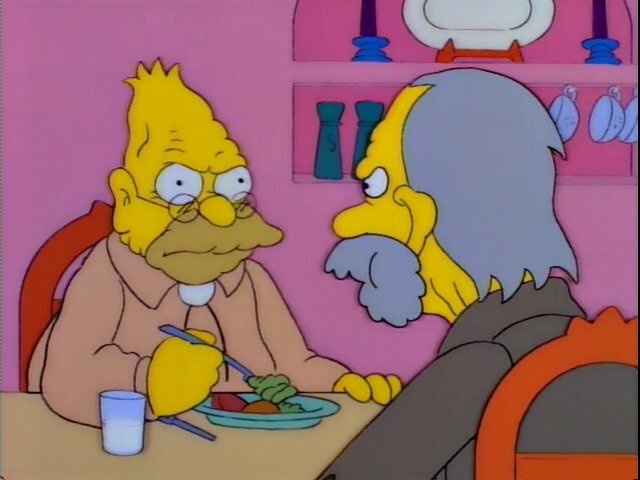 I gave you a plate of corn muffins back in 1947 to paint my chicken coop and you never did it. 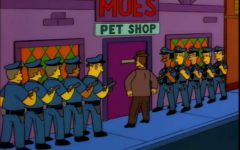 Chester J. Lampwick: Those corn muffins were lousy. Grandpa Simpson: Paint my chicken coop! 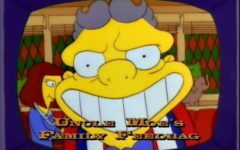 Chester J. Lampwick: Make me. Krusty: I gave him a couple of blintzes to paint my fence but he never did it. 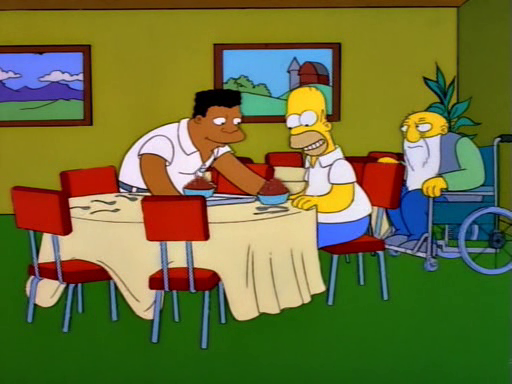 Chester J. Lampwick: Those blintzes were terrible. 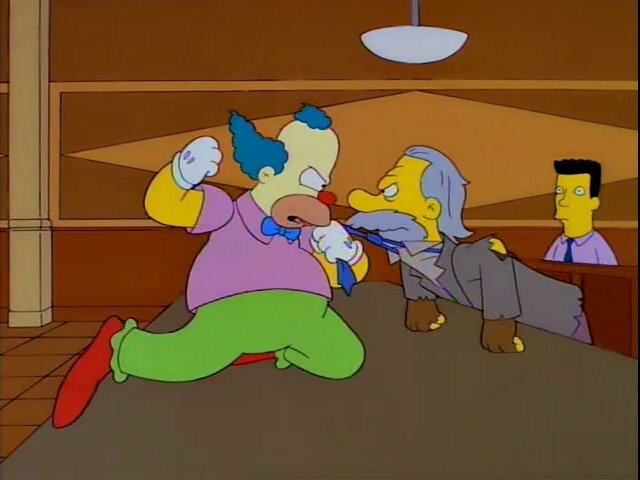 What I love about the exchange between Chester J. Lampwick and Grandpa / Krusty is there is no way to know if the corn muffins were actually lousy or if the couple of blintzes were actually terrible. It seems fairly likely to me that Chester just didn’t feel like painting a chicken coop and/or fence – what with him being a literal bum and all. 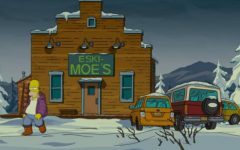 I realize that Grandpa and Krusty aren’t exactly reliable either, but I’m going to give them the benefit of the doubt on this and attempt to make non-lousy corn muffins and non-terrible blintzes. 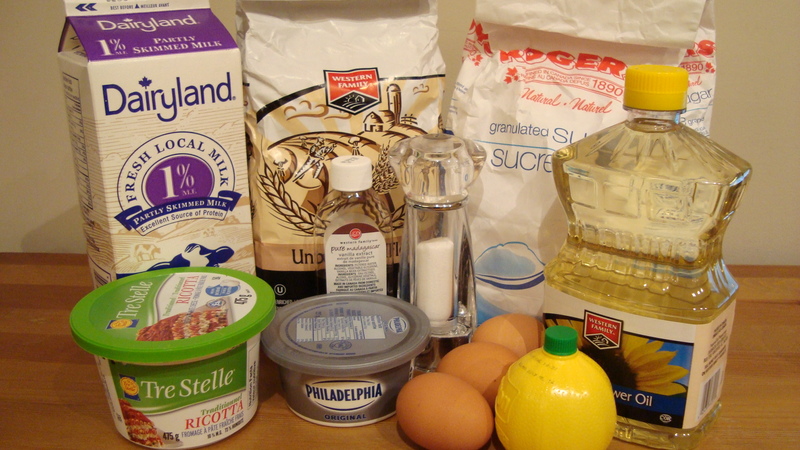 Preheat oven to 400 F. In a bowl, mix dry ingredients: cornmeal, flour, baking powder, sugar, and salt. 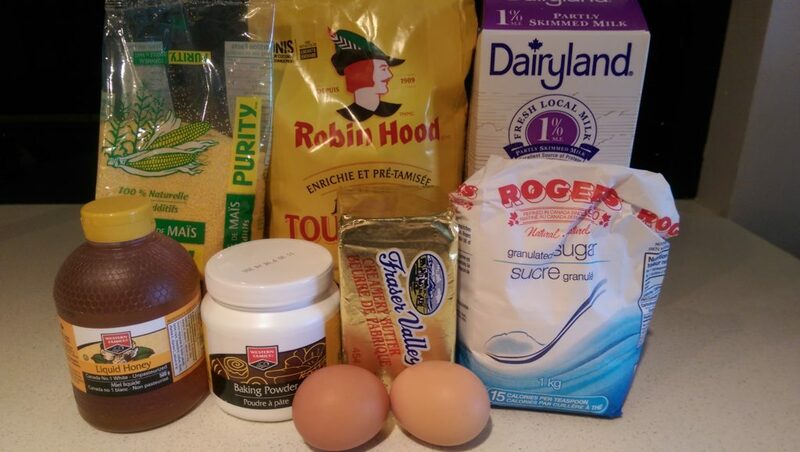 In a separate bowl, mix together wet ingredients: milk, eggs, butter, and honey. Add the dry ingredients to the wet and mix until just combined. Pour mix into muffin tray and bake for approximately 15 minutes. 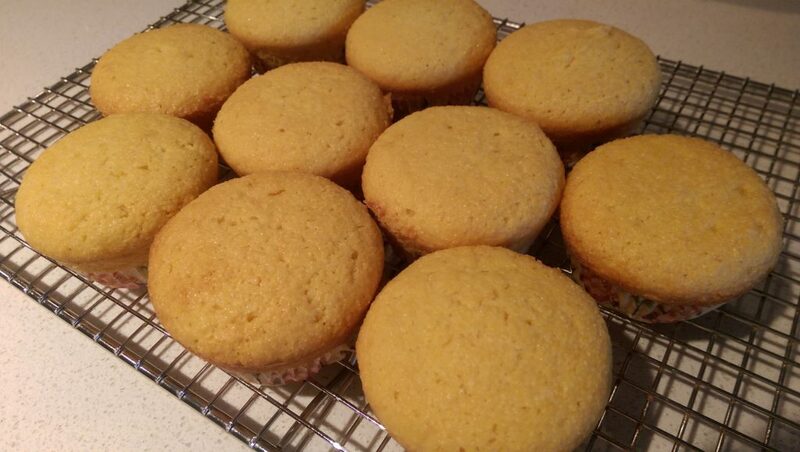 Verdict: I would total paint a chicken coop for these muffins. These were especially delicious warm out of the oven with some butter. Chester, you were missing out on this! Full disclosure: I’d never even heard of blintzes before seeing this episode. 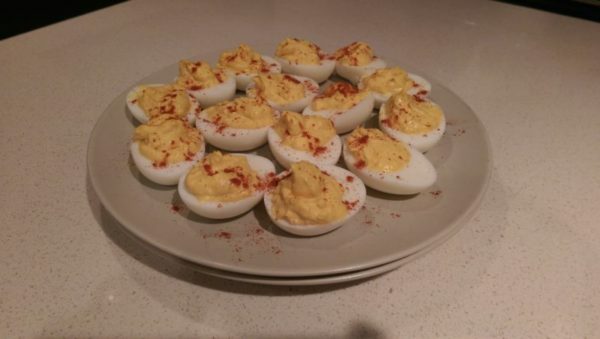 So I got the recipe directly from Tori Avey. I copied everything as closely as possible since I had no idea what I was doing. Whisk eggs and add milk, water and vanilla. Next add sugar and finally flour. Mix until well combined with no lumps. Warm a skillet with oil until hot. Pour enough batter to coat the entire skilled in a thin layer to make a crepe type shape. Cook blintz shell for about a minute or more and remove from heat. Make all your blintz shells and cool and set aside. Mix all the blintz filling ingredients until combined. Scoop the filling onto one side of the blintz shell and fold the blintz “burrito style”. 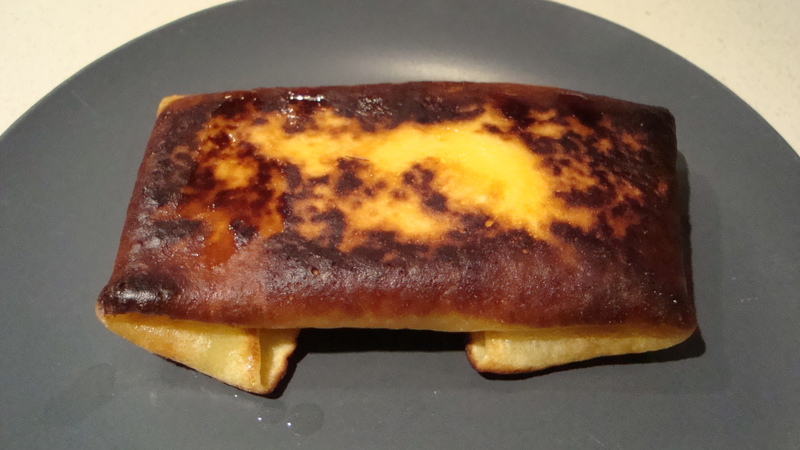 Heat a skillet with oil until hot (but not smoking) and place the blintz folded side down. Fry the blintz on one side for 1 minute and then flip and fry on the other side, they should be browned evenly on both sides. Verdict: Were these blintzes terrible or is it just that my cooking was terrible? 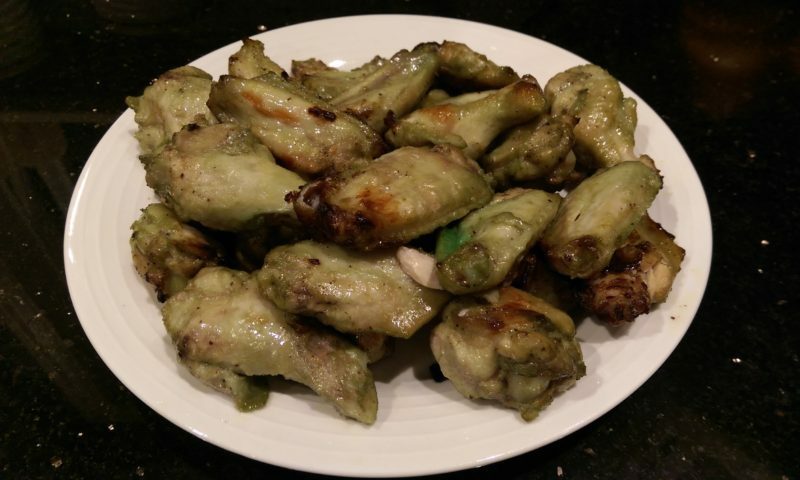 Unlike a lot of my efforts, I actually really tried to make this as closely as possible to the recipe and feel like I succeeded. The blintz shells came out nicely and folded properly. The filling worked and everything fried up together and stayed in one piece. I actually just think I don’t like blintzes very much – which maybe isn’t that surprising given that I wasn’t a huge fan of Noodle Koodle either. Perhaps Jewish cuisine that involves dairy is just not for me? I could eat matzah ball soup for a week and I’d be very happy. So, these blintzes weren’t terrible, they just weren’t my favorite thing. Blintzes, blintzes, blintzes. I hear about them but I’ve never gotten the opportunity to try them. But from what I’m reading about them perhaps you’d like them better if they had a different filling like fruit or potato so perhaps try making some of those. But from what you say about jewish cuisine perhaps what you need is a crash course to becoming a better jew. I suggest renting Fiddler on the Roof and watching it. I think I need to watch the movie and then just go to a proper Jewish restaurant and try a bunch of different foods. I’m sure if someone who actually knew what they were doing made me these dishes I would absolutely enjoy it! 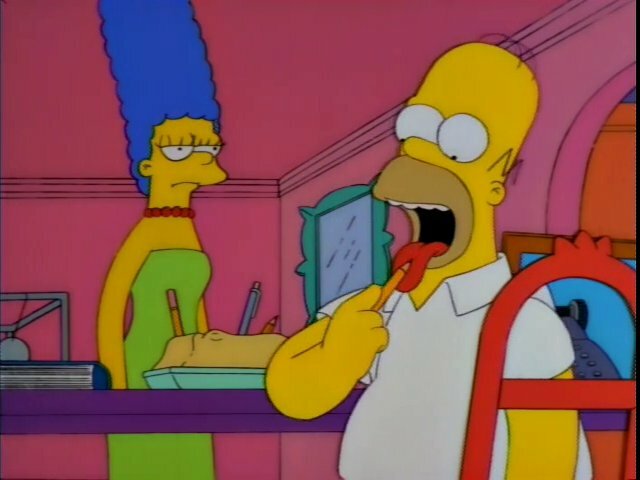 That’s why this is called “Chester J. Lampwick Foods – Part One”, Part Two will involve both liver and onions. When am I going to get to that? Let’s aim for anywhere between now and five years from now.